Anyone who has watched, even from a remove, the rulings of the U.S. Fifth Circuit Court of Appeals in New Orleans, is not surprised by the decision to uphold the new restrictive Texas abortion laws. It is, however, slightly baffling that three of the justices were women, and that the unanimous decision was written by Edith Jones. Unsurprisingly, perhaps, the trio of women judges is from Texas. The U.S. Supreme Court had previously ruled that no state law can place a "substantial obstacle" before a woman who is seeking an abortion, nor can any new regulation create an "undue burden." Nothing more than those two phrases, which are as distinctively clear language as can be written, ought to have taken the conservative appeals court in a different direction. 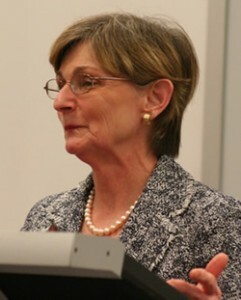 Judge Jones, the author of the opinion, is a University of Texas graduate and a Ronald Reagan appointee to the court and is the chief judge of the Fifth Circuit. Unfortunately, she has revealed her predisposition to prejudice of certain ideas and people in appearances where she once claimed that "racial groups like African-Americans and Hispanics are predisposed to crime" and are "prone to commit acts of violence." She also attracted controversy when she said Mexicans would prefer death row in the U.S. rather than serving prison terms in their home country. 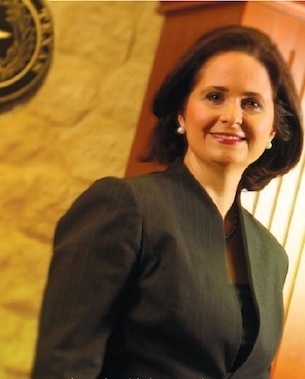 Another who signed the ruling, Jennifer Elrod, is also from Texas, and when George W. Bush nominated her, she was expected to be, according to her former Houston legal colleagues, a moderating voice for the court. Apparently, such a vision has not been realized. 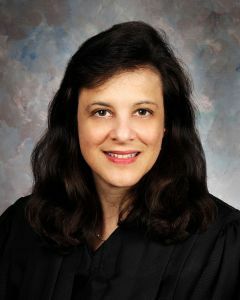 Judge Catharina Haynes, who was educated in Florida, spent her career in Texas with the firm of Baker Botts, and then was nominated to the 191st District Court in Dallas. Eventually, Bush also placed her on the Fifth Circuit bench at the recommendation of the two conservative Texas senators Kay Bailey Hutchison and John Cornyn. The entire argument presented in the case by the office of GOP gubernatorial candidate and Texas Attorney General, Greg Abbott, was that the law was designed to protect the health of a woman, and not restrict abortion access. There is no evidence that this is the case. In fact, the exact opposite is more likely true since the last two abortion clinics in the Lower Rio Grande Valley closed, and others across Texas will soon shut down. Women along the Texas border with Mexico must now drive to either Corpus Christi or San Antonio for reproductive services, and, when regulations regarding admitting privileges take effect in September, the Corpus facility is expected to close. San Antonio is 250 miles distant from the valley. If the cost of travel, the time and distance are not "undue burdens" and "obstacles," it is hard to imagine what the Fifth Circuit court might consider meets those definitions. Requiring admitting privileges at hospitals for abortion providers will have the greatest impact on abortion access. The court's ruling said that they will "reduce delay in treatment and decrease health risk for abortion patients with critical complications." In fact, there is sufficient evidence to suggest the exact opposite result. In the Lower Rio Grande Valley community of McAllen, when providers sought admitting privileges at several local hospitals they were denied. The subsequent closures of clinics cause a delay in abortion access, which tends to increase physical complications for the woman. Further, the American College of Obstetricians and Gynecologists, along with the American Medical Association, have rejected the notion that it is medically necessary for providers to have admitting privileges at hospitals. By the time the regulation regarding admitting privileges takes effect on September 1, though, Texas will have only six remaining clinics out of 36 that were operational statewide, although Planned Parenthood is building a new facility in San Antonio. The most befuddling phrase in the Fifth Circuit's ruling may be when Judge Jones wrote, "It is not the court's duty to second guess legislative fact finding, improve on, or cleanse the legislative process by allowing re-litigation of the facts that led to the passage of a law." Her honor appears to be completely ignoring the reason that the judicial branch of our democracy was created; it is precisely for the causes she rejects in her opinion. The historic role of the federal courts has been to make certain state law does not overstep constitutional rights, which is explicitly what is taking place with the Texas law. There were more than 73,000 abortions in Texas last year. The logical assumption is that they were safe conclusions to problem pregnancies for women making difficult decisions. Unless the U.S. Supreme Court overturns the Texas legislation, it is almost certain to create tragedies under the hideous guise of language that claims to protect women's health.